You’ve just made the decision to take your furry friend on holidays with the family. And why wouldn’t you? Taking your pet on vacation with the family can be an incredibly rewarding experience and saves the inevitable separation anxiety you (and your pet) may experience! At Jetpets, we are often surprised by how many people tell us that they wouldn’t know how to go about taking their pets on holiday with the family. In actual fact, it’s a really simple process and in many cases it can be more cost-effective than boarding your cat or dog in a kennel. Pet Transport, whether by car or plane needn’t be overwhelming. If you have any questions, please contact one of our pet transport consultants who are more than happy to help! There are a few things to keep in mind when travelling with dogs or cats. The first step is a check-up with your Vet, to ensure your pet is healthy enough to travel. They must be up to date with their vaccinations, as well as their worming, flea and tick treatments. Another benefit of taking your pet to the Vet just before travelling? It will get them used to (or re-accustomed to,) their travel crate – just make sure it’s an enjoyable experience! When it comes to getting your pet used to their cat or dog crate, it’s a good idea to associate the experience with positive things, such as food rewards, play and encouragement, which will help them feel more comfortable and at ease. Are you driving or flying with your pet? If you’re flying with your pets, we can help! At Jetpets, we’re the pet transport experts and our consultants are ready to help you out with all the info you might need, from Vet requirements, through to door-to-door transport and state regulations. If you are driving, don’t forget to check the state laws concerning animals in vehicles when taking your pet in the car. And as always, never leave your pet locked in the car during pit stops or while destinations that are not pet friendly. 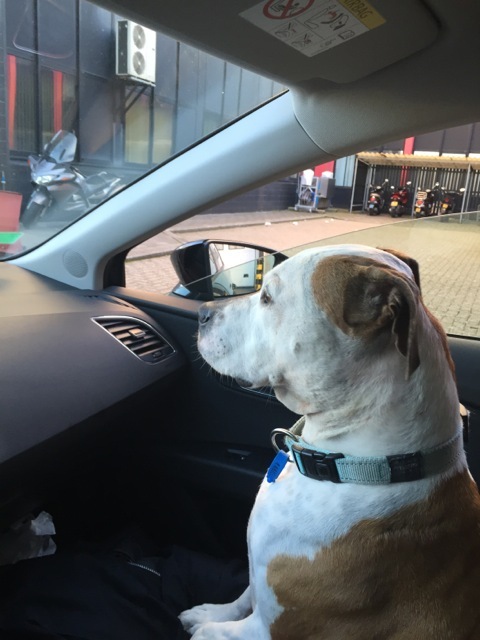 When travelling with dogs or cats, a little forward planning goes a long way! When you get to your destination, whether you’re driving or flying with your pet, we recommend having the contact details of your vet on hand – just in case. Enjoy your vacation with your pets!